Regal Robot’s latest sculpture is the perfect way to bring Star Wars™ into your office or home! 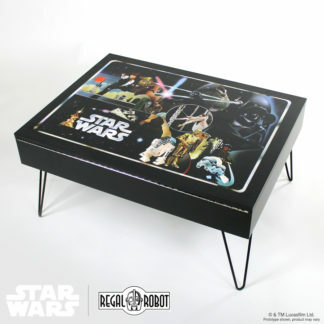 Relive an iconic moment from Star Wars: The Empire Strikes Back at your desk, in your cubicle or wherever you need to store pencils, pens, paint brushes, paperclips and more! Created using a detailed scan of the original prop exogorth puppet used in the film, this solid resin desk organizer is made in the U.S.A. and hand painted. 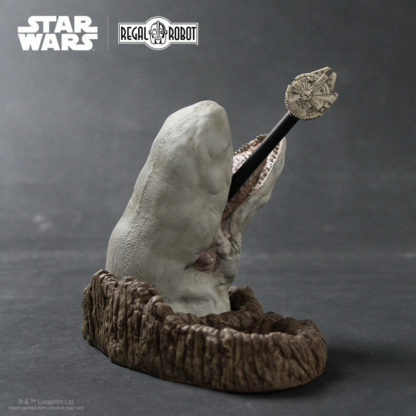 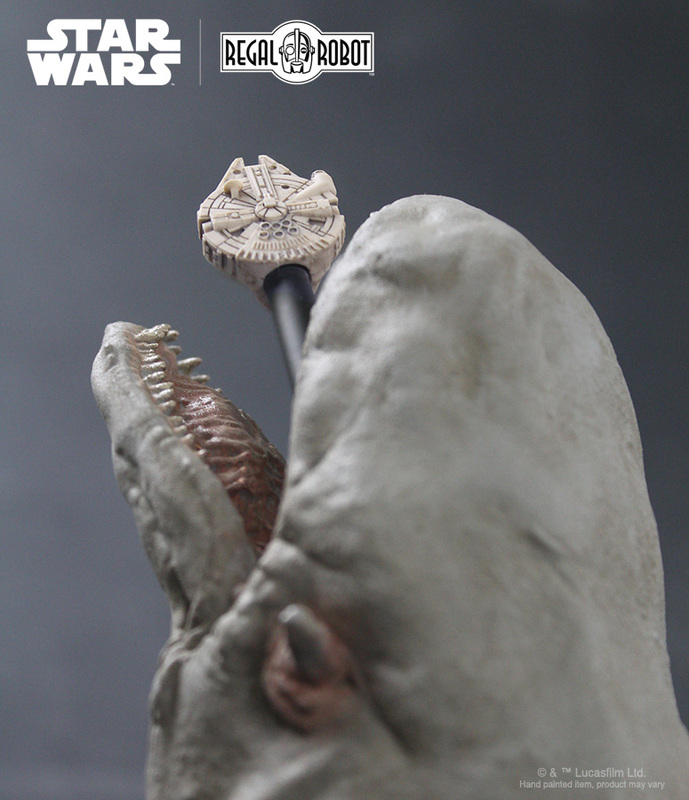 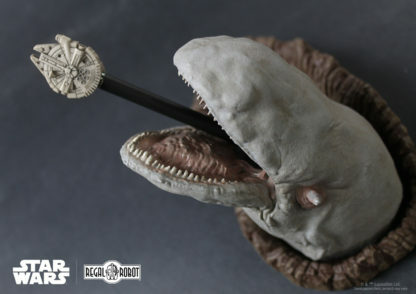 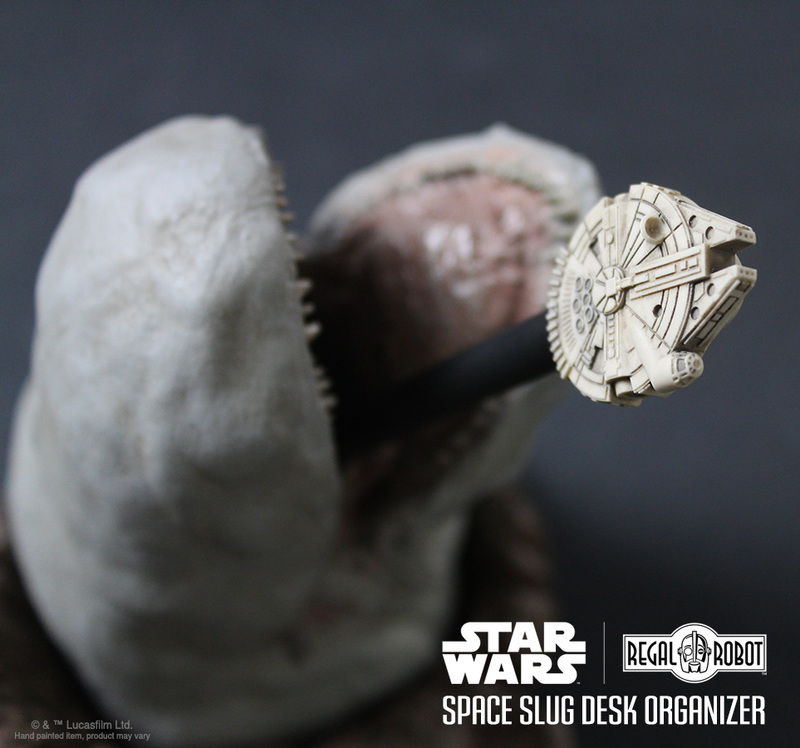 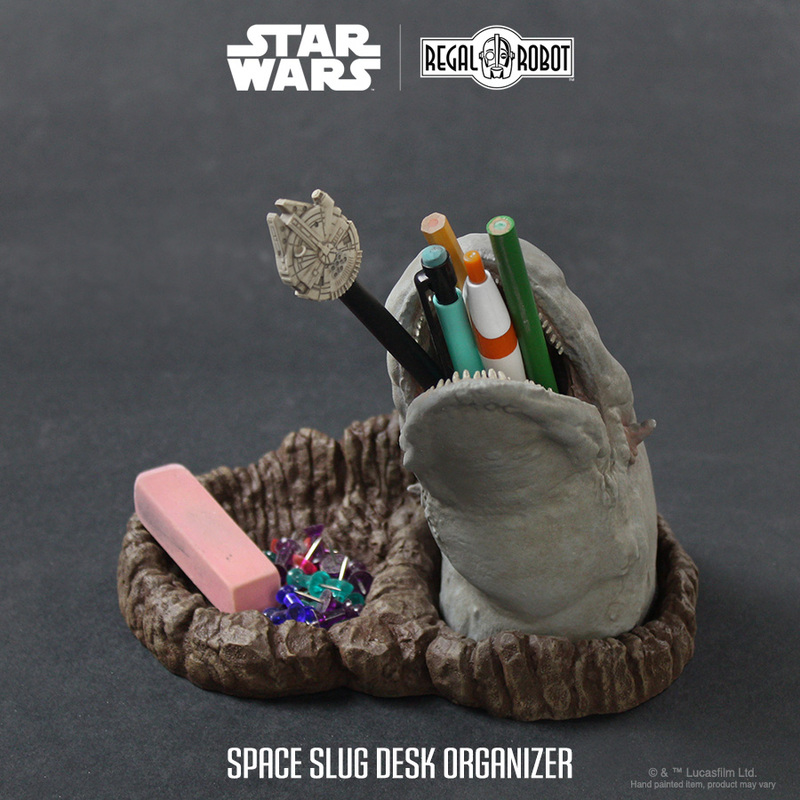 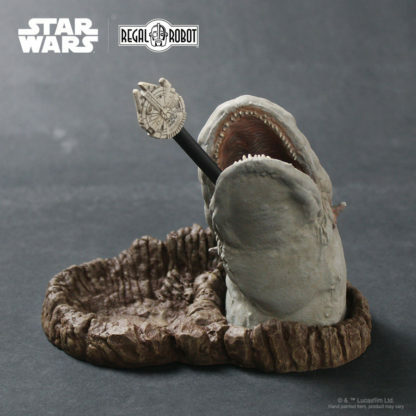 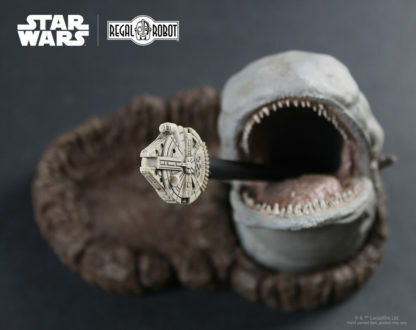 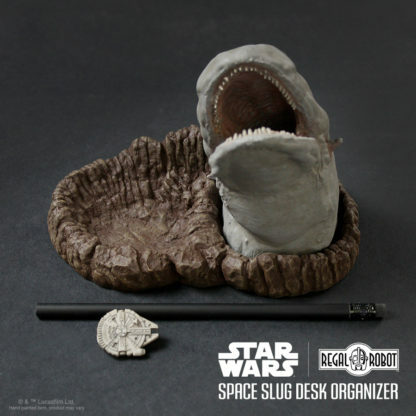 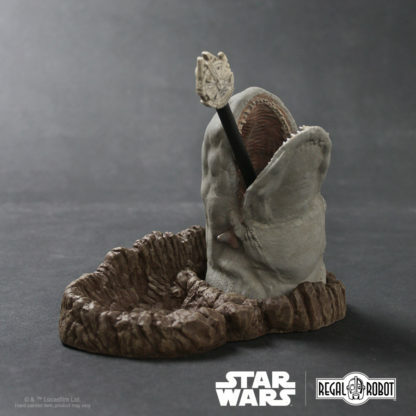 It comes as shown with the asteroid and slug, resin Millennium Falcon™ pencil topper and even a black pencil! US shipping is $12.50. 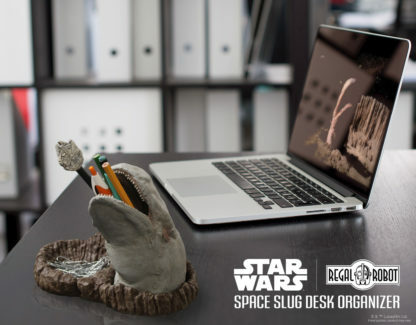 Please contact us for a quote for shipping to United States territories. At this time, Star Wars products may only be shipped to addresses within the US and US Territories. 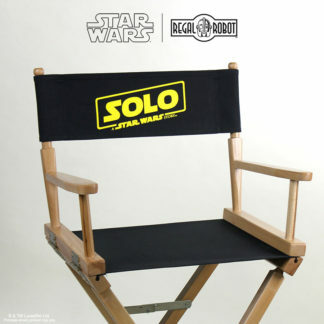 We are currently making these in the USA and we expect new orders to ship in approximately 4-6 weeks. 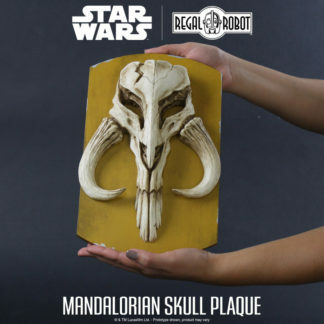 Regal Robot’s latest sculptural creation gives fans a another great way to bring the magic of Star Wars: The Empire Strikes Back into their lives. This piece comes fully painted and ready to hold your pens, pencils, pins, paperclips, brushes and more in both the asteroid crater and inside the mouth of the exogorth space slug! 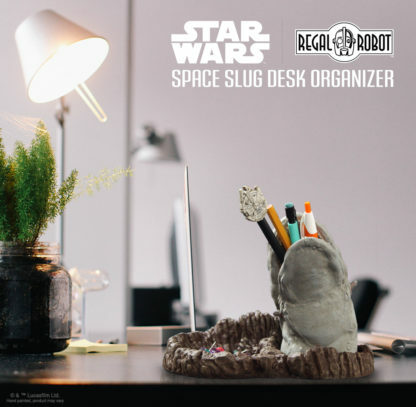 We created this unique desk organizer using a detailed scan of the original prop puppet used in the film. We digitally posed the slug and created its asteroid home, making a crater beside it to hold small things like loose change or safety pins. Each solid resin desk organizer is made in the U.S.A. and hand painted. 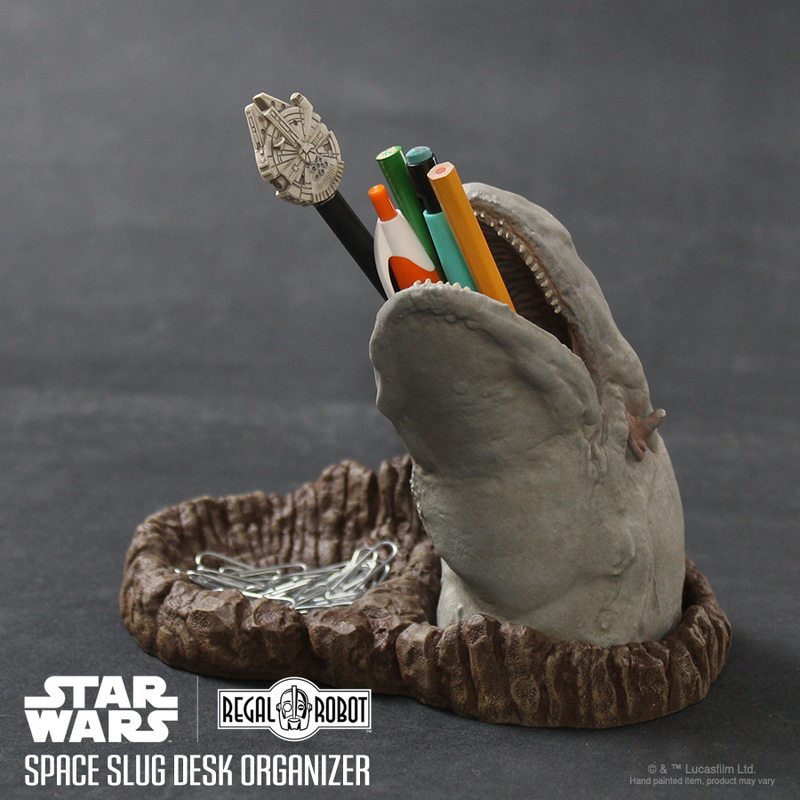 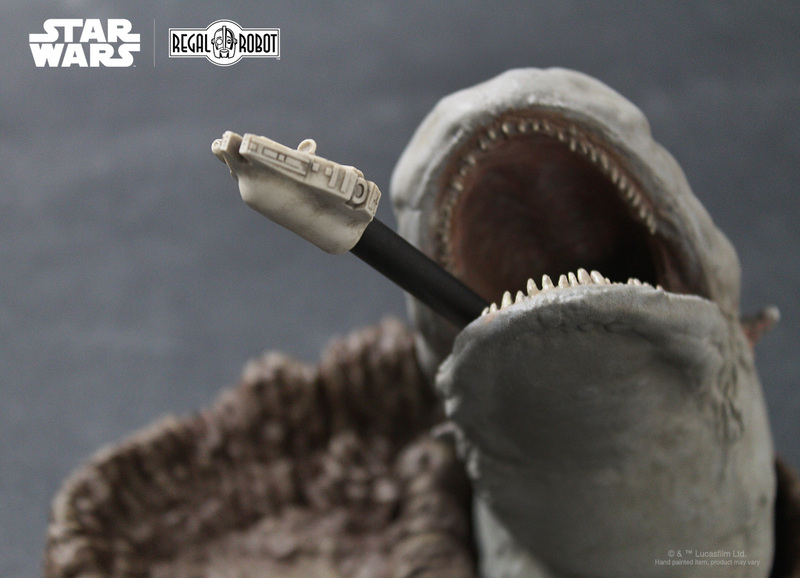 Top the included black pencil with the resin Millennium Falcon™ pencil topper and place it in the slug’s mouth… Han Solo™ once again makes a daring escape from the jaws of a giant space beast! 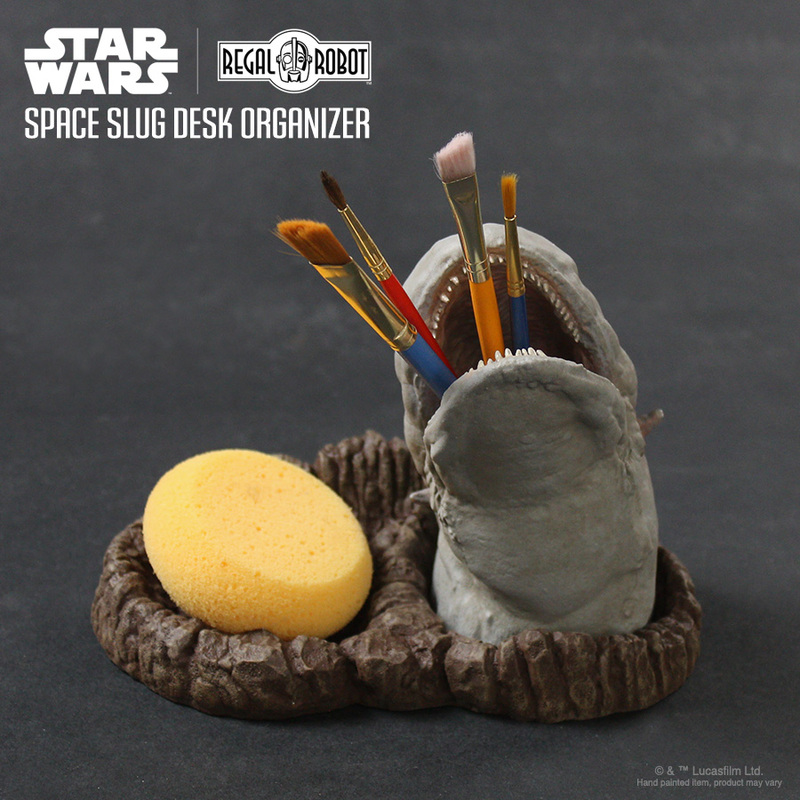 Each exogorth desk organizer is hand painted and the antiquing/staining may vary from piece to piece.